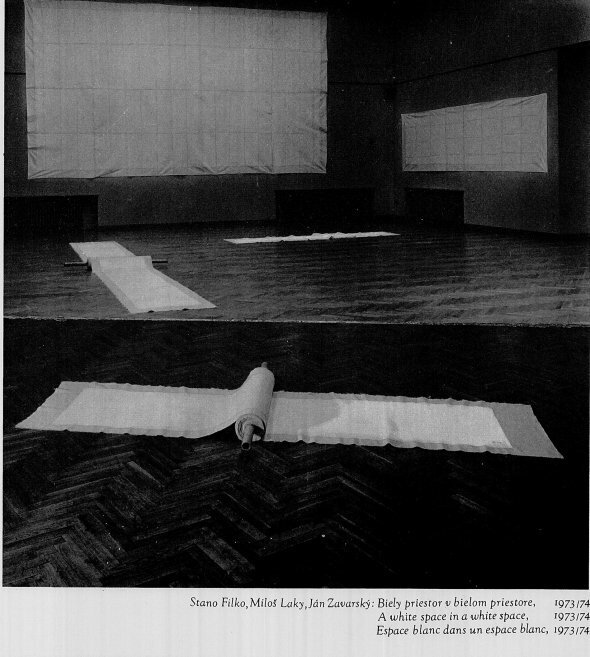 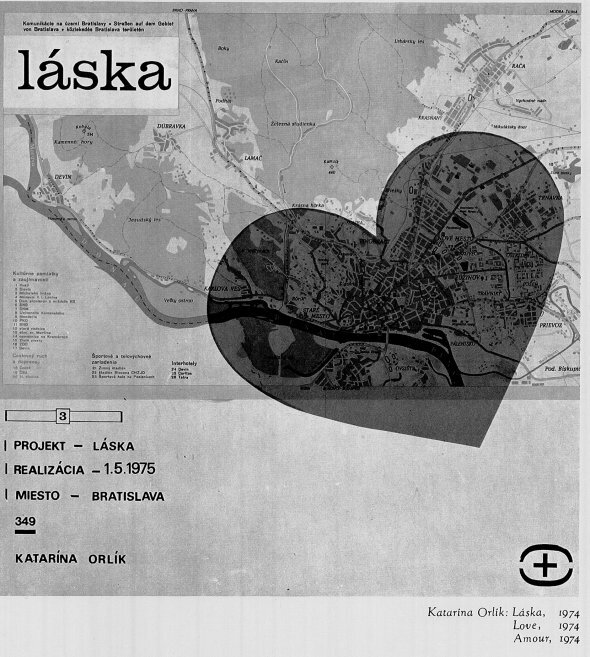 “Symposion 74” was the outcome of meetings held between participants, and took the exhibition-as-poster format, juxtaposing both individual and collective works by “unofficial” Slovak artists. 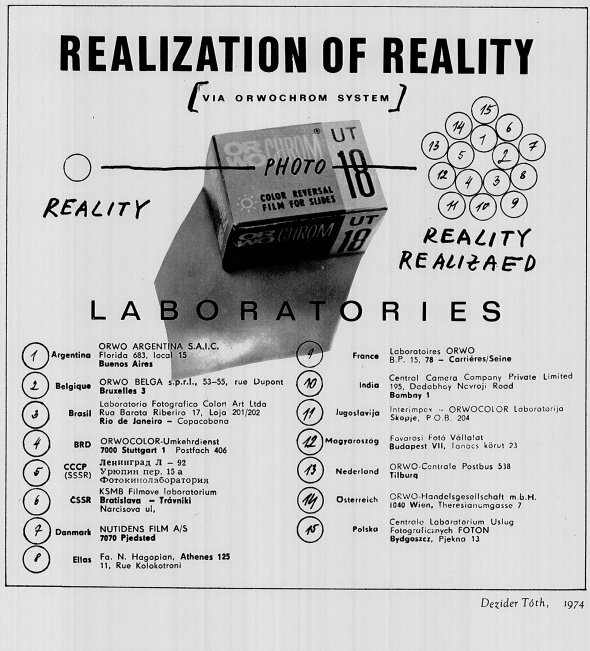 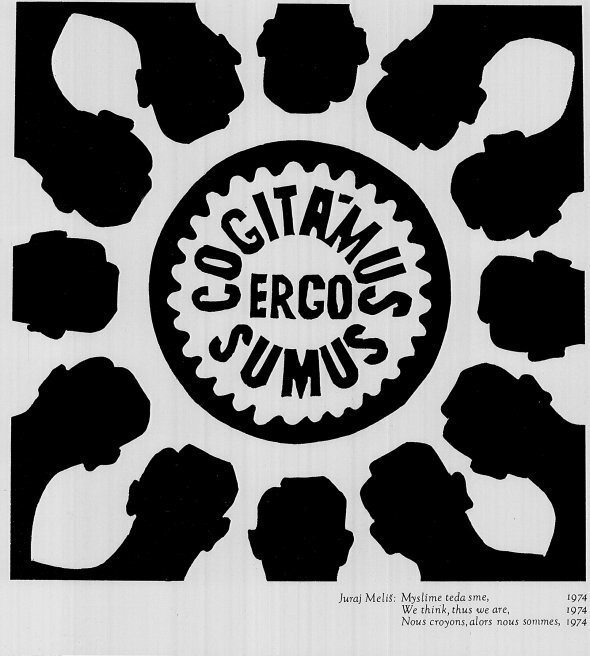 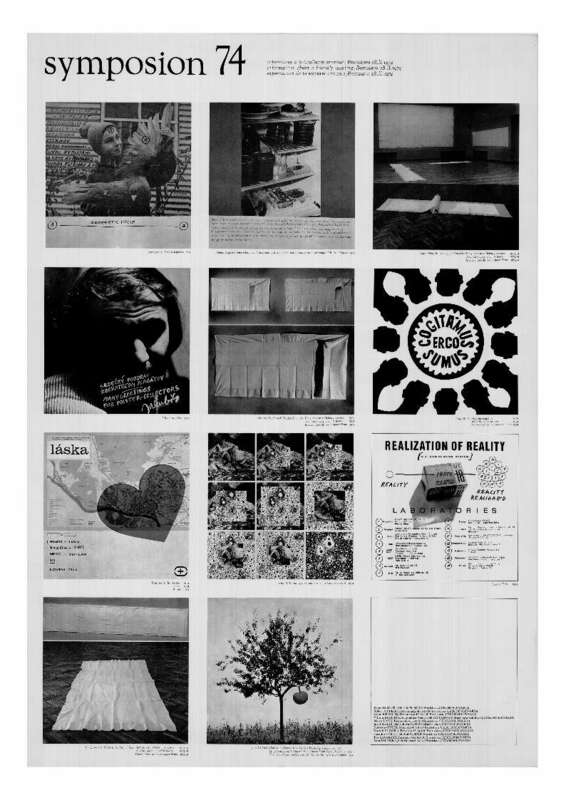 Contributing artists’ work appeared on a poster in a grid format. 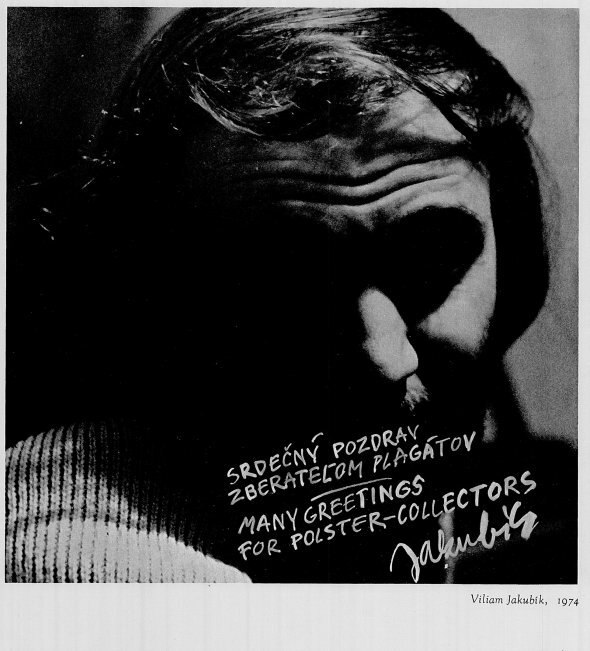 Often artists worked collaboratively. 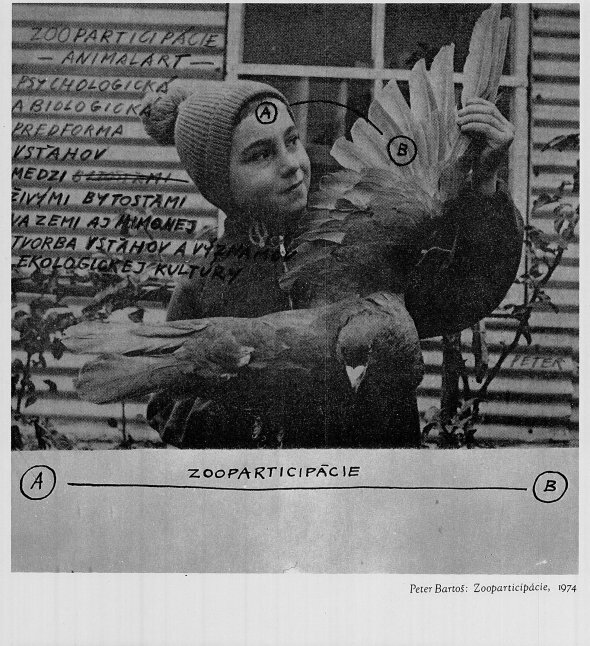 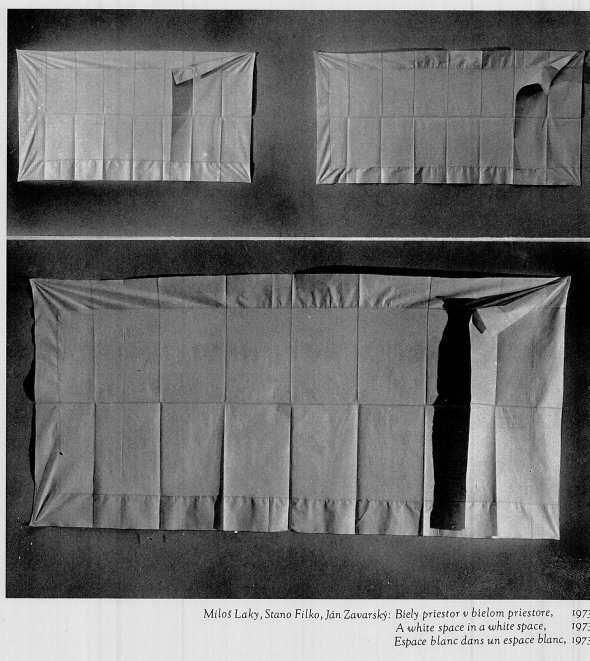 The contributing artists and the title of their artwork is as follows: Peter Bartoš: Zooparticipations (1974); Róbert Cyprich/Hervé Fischer: Ninnananna, Ružomberok-Paris (1973); Stano Filko/Miloš Laky/Ján Zavarský: A White Space in a White Space (1973–74); Viliam Jakubík, Many Greetings for Poster Collectors (1974); Juraj Meliš: We Think thus We Are (1974); Katarína Orlik: Love (1974); Rudolf Sikora:-5 000 000 000 ? 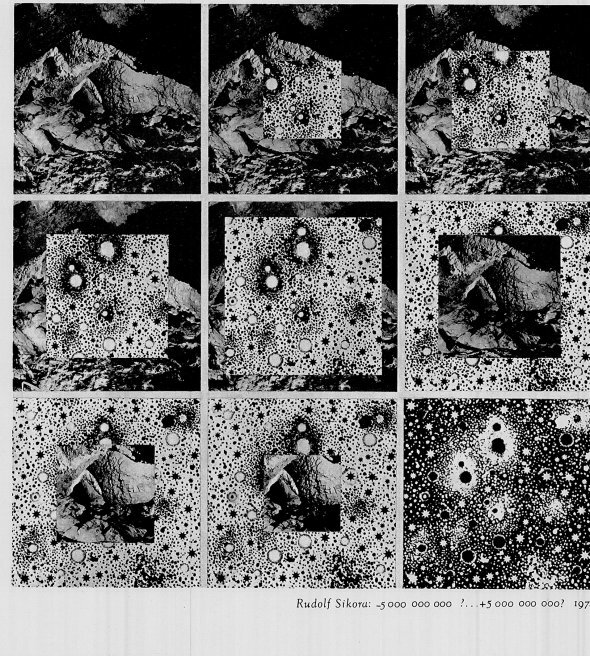 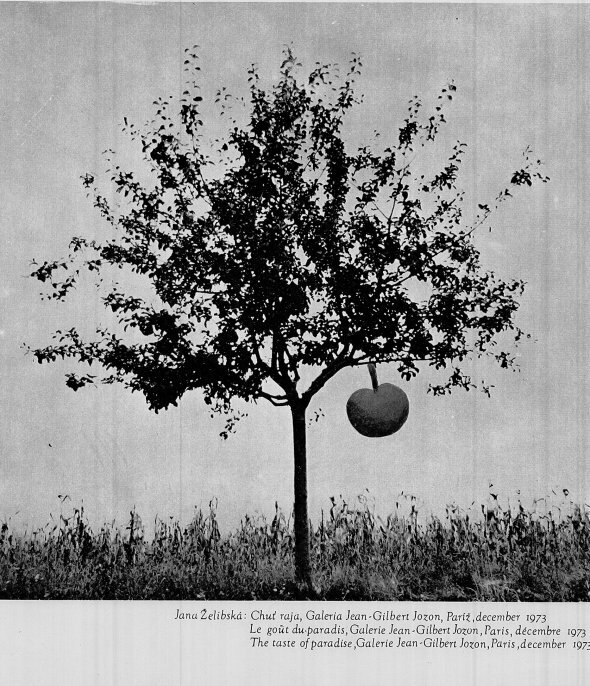 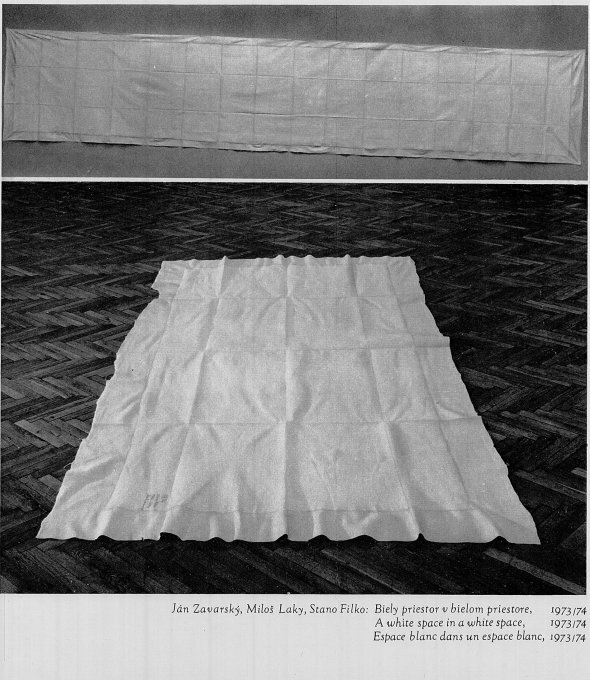 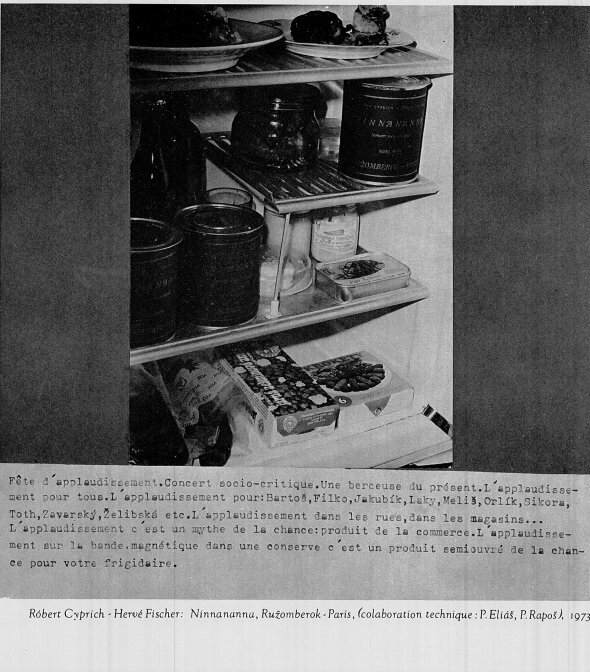 +5 000 000 000 ?, (1974); Dezider Tóth: Realization of Reality (1974); Jana Želibská: The Taste of Paradise, Galerie Jean-Gilbert Jozon, Paris (December 1973).